This contemporary double or twin room has a private entrance, a flat-screen TV, tea/coffee making facilities, and free WiFi. The modern en-suite bathroom offers a power shower and free toiletries. Guests are allocated either a twin or double room depending upon the preference which they state when booking. Room type is not guaranteed unless this has been confirmed on the booking. 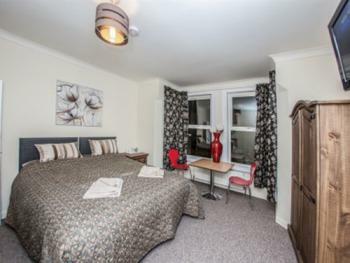 This contemporary and stylish room features a large double bed, flat-screen TV plus tea/coffee making facilities. The en-suite bathroom offers power showers and free toiletries. These compact rooms feature a flat-screen TV and a modern en-suite bathroom with power shower and free toiletries. Tea/coffee making facilities and free WiFi are also provided. All the economy single rooms are situated on second floor and only accessible by narrow, winding stairs. These rooms are not suitable for elderly guests or those with disability. These rooms are all situated within the modern annex, which is less than a 1-minute walk from Riverside Guest House. They are smaller than the standard rooms. These still include a double bed, an en-suite bathroom with a power shower and hairdryer, a flat-screen TV, tea/coffee making facilities, free WiFi, and a fan. This contemporary and stylish room features a flat-screen TV plus tea/coffee making facilities. There are 3 single beds all with separate bedside cabinet This room has a table and chair. The modern en-suite bathroom offers power showers and free toiletries. The studio is contemporary and stylish and features kitchenette facilities. The room contains 1 double bed plus 1 sofa-bed (if required) plus desk, a make-up table and a flat-screen TV. Full cooking facilities with cooker, refrigerator, toaster tea/coffee maker etc. his basic room is situated on the second floor and has a sloping ceiling. Access is by narrow and winding stairs and so would not normally be suitable for elderly people or those with a disability. The room features free WiFi, a flat-screen TV and tea/coffee making facilities. 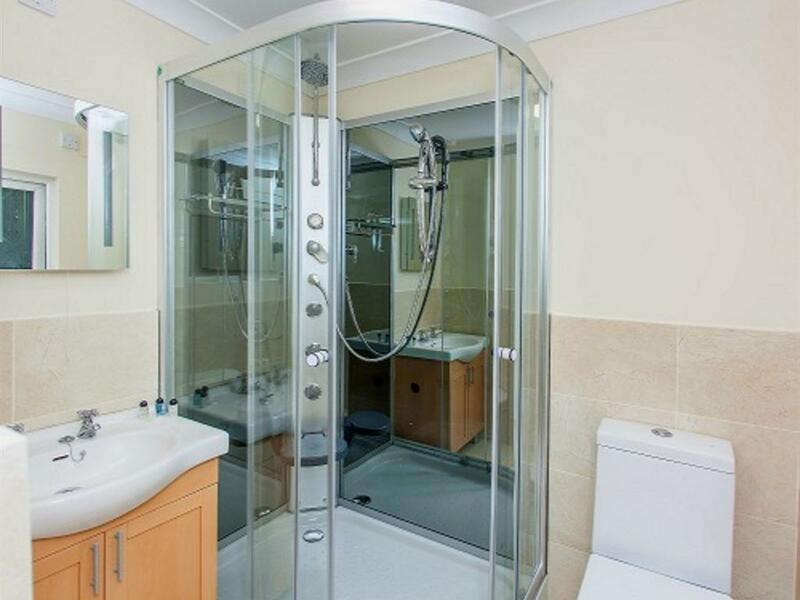 The en-suite bathroom offers a shower and free toiletries.